BEING PAID TO POST A BLOG or VIDEO. Let me just say that I am not here to add fuel to anyone's fire. No, my intention is far beyond that. But since everyone is talking about it, it's probably the best time to voice out my thoughts, too. Some bloggers and readers may consider this the same thing. Others may think I just have bad knowledge in the English vocabulary. But for me, these two concepts are different. Sponsored blog post is when a company sends an item or product to a blogger to try and then review it after with no money or payment involved. Paid blog post is when a company or establishment sends a product to a blogger, pays him/her a certain amount of money and then the blogger tweets the product, uses/reviews it on YouTube or posts about it on blog. These days, blogs are really big. Personally, if I didn't have my own blog, I'd still be reading blogs and rely on them for product reviews. Because I believe consumers these days trust independent blogs more than they believe paid TV and print ads. Free or little fee involved, reaches more audiences, their product sharing the credibility of the blogger... Because of these, advertising agencies see the potential in placing their products on blogs. Why not? I know a couple of bloggers (not personally) who make blogging and YouTube-ing their bread and butter. Nothing really wrong though and I'm not in the position to judge them or tell them what they're doing is right or wrong. Which company would not want to advertise their product on a highly viewed blog, right? But I just think that when everything a blogger is posting is paid, then he/she loses the sincerity that blogging originally came with. I mean, for me, posting a paid video/blog post and a non-paid post alternately is better because then you give your readers something to hold on to-your credibility. What make's blogging different from tv and print advertisements is the sincerity that we give when reviewing a product. If a product is good, we say it's good. If a product is bad, we say it's bad and we don't recommend it. But if our blog becomes another channel for paid and enhanced advertisements, then what difference do we have from the TV commercials that we often skip? One of the best gifts a person could ever receive, aside from time (and yes, a big mansion, to-die-for sports car and trip around the world. lol) is TRUST. It really amazes me how companies, advertising and marketing agencies contact me for product reviews. I mean, when I started this blog, it was just all out of pleasure, fun and passion. So when I get offers for product reviews, I get really flattered. If you decide to place your product on my blog, I can't promise a 200% boost on sales... But what I can promise is that the reviews I will write for you will always be objective, sincere and honest. PS : How do you know if my post is sponsored or not? I label all products that were sent to me for review / sponsored under Advertorial. The products I bought using my own money are labeled as Product Reviews. 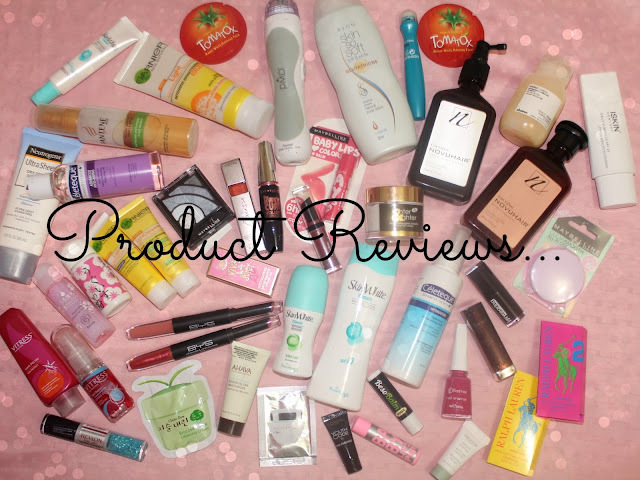 All Advertorials are tagged as Product Reviews as well but not all Product Reviews are Advertorials.